Gum disease, also known as periodontal disease is cause by bacteria in plaque. If plaque is not consistently removed, bacteria can build up and infect your teeth, gums and even the bone that supports your teeth. Gum disease in Lowell, MA residents is a common cause of tooth loss and Crosspoint Family Dental can help. Sometimes, it may be too late. If you are experiencing any of the following, call us immediately. Scaling and deep root planing are effective for more advanced conditions. These also include cleaning, but it goes deeper into the areas above and below the gum line. A local anesthetic is administered. Arestin therapy (FDA Approved) is quick, comfortable and antibiotics are released into your gums for up to three weeks. Besides tooth loss, gum disease has been linked to the development of issues such as heart disease, stroke, diabetes and pre-term low birth-weight babies. 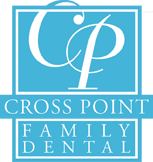 To schedule a cleaning or if you think you may have gum disease, contact Crosspoint Family Dentist in Lowell, MA to schedule an appointment. We can be reached at (978) 459-6467.